Brad is a human geographer and an environmental law specialist. Brad's research and teaching crosses disciplines in the legal geography tradition. He draws on political theories, his expert knowledge of environmental law processes, and case study examples of law in society. Brad is especially interested in the law of place and the human and environmental experience of harm and the role of the law. 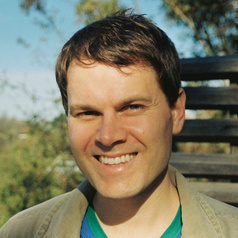 Brad joined Melbourne Law School in 2012 from the ANU, where he had been teaching and researching since 2007. Brad's primary research project, as part of his PhD study, focuses on concepts of ecological and environmental justice in Australian environmental law. As part of this project Brad has recently written on ethics and values in environmental law, and he has explored the contribution of environmental justice ideas to the development of the law. Brad is the co-editor (with Kim Rubenstein) of the recently published book 'Environmental Discourses in Public and International Law' (2012, Cambridge University Press).